Founded in 2002 with the intention of creating an opportunity for women to sing together, and based on the premise that there can never be too much singing, Resonance Women's Chorus is a 125-voice chorus singing contemporary women's choral music. 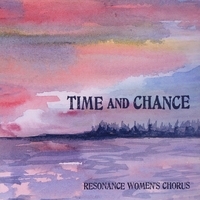 With an emphasis on songs of social awareness, Resonance is a collective voice of women's strength, wisdom, and beauty. Directed by Sue Coffee, Resonance is based in Boulder, Colorado and is a member of GALA Choruses and the Sister Singers Network.